Western Music Association 2014 Female Performer of The Year Kristyn Harris and 2014 Male Perform of the Year Jim Jones are set to take the stage in Newhall this month. The show starts at 8 p.m. on Wednesday, April 15, 2015 at the Repertory East Playhouse on Main Street. Admission is $25. Hailing from Texas, Kristyn Harris was named the 2014 Western Music Association Female Performer of the Year and the 2013 Academy of Western Artists Western Female Performer of the Year. She is noted for her powerful vocals, strong rhythm guitar style, songwriting, yodeling, and upright bass playing. She draws her inspiration from the ranching lifestyle that she loves, as well as classic and contemporary western icons. Kristyn Harris is a featured performer during the 2015 Santa Clarita Cowboy Festival. 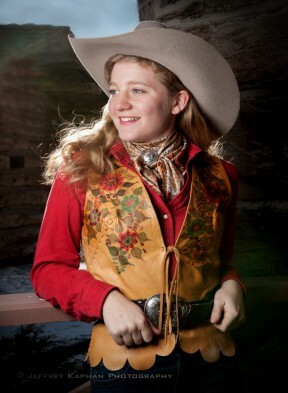 Enjoy her additional performances at Canyon Theatre Guild, Hart Hall at William S. Hart Park, and the Wild West Stage. Honored with the Western Music Association 2014 Male Performer of The Year award, Jim Jones tells it like it was, is and will be in the great American West. A resident of New Mexico, Jim is a student of the West. He lives, sings and writes about cowboys, horses, cattle rustlers and the sweeping landscape. 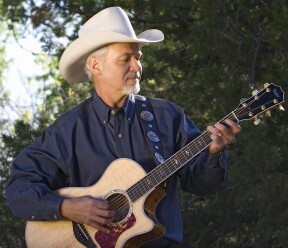 His song, “Texas Is Burnin” received the 2013 Western Writers of America Spur Award for Western Song of the Year. An award winning author, Jim Jones will be one of OutWest’s featured authors Saturday and Sunday, April 18 & 19, at the Buckaroo Book Shop held in the Pardee House on the grounds of the SCVHS during the Santa Clarita Cowboy Festival. Dress up! SCVTV will film and you just may be on TV. Will Call and Doors Open 7:00 p.m.
SCVTV Presents The OutWest Concert Series is made possible by SCVTV, OutWest, Repertory East Playhouse, and the Western Music Association California Chapter. Special “Thank You” to the Magazine of Santa Clarita. In honor of Women’s History month, internationally acclaimed singer-songwriter Katy Moffatt will be performing March 26 as a part of SCVTV’s Outwest Concert Series. Moffatt’s performance, Midnight Radio: A One-Woman Show, is a musical journey through 19th, 20th and 21st century American life that highlights the various roles of women. The stories Moffatt explores are those of women, both young and old, living through historically groundbreaking struggles and events. The concert will take place at 8p.m. at the 4th Thursdays at Newhall, doors open at 7p.m. General admission tickets are $20 and advance sale tickets are available for purchase from the Outwest hotline at (661) 255-7087. Tickets can also be picked up in advance at 22508 6th Street Newhall, CA 91321. 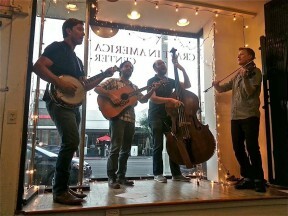 Hot October is a high-energy bluegrass quartet, built of some of the best pickers in Los Angeles. After studying at Cal Arts in Santa Clarita, all members continued working as professional session and performing artists with ranging genres of music. It wouldn’t be out of place to see David Tranchina (bass), using the precision, and freedom of a jazz musician to rip through these punchin’ bluegrass songs. Sasha Birrittella (guitar), can be found playing in some of the largest stages around the world w/ pop and rock artists. When he picks up the acoustic guitar however, you hear all of the history in each and every note coming through those strings. 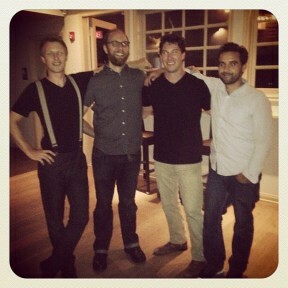 The band is driven with original songs written by Paul Fuller (banjo), and Jesse Olema (fiddle). Paul has played the banjo all his life, and his songs reflect the history of bluegrass, while coming from a modern place. Being a luthier himself, Paul also builds amazing ukelele’s and guitars. Jesse Olema plays the fiddle with a soulfulness and attack that you don’t normally see, and as an original songwriter, he has carved his own voice in the Americana/bluegrass realm. With Lead Vocals by The Tumbling Tumbleweeds alumnus, Rob Wolfskill along with the harmony and intensely dazzling musicianship of three of the best and finest musicians working in Acoustic Music today, Craig Ferguson, Guitar, Jesse Olema, Fiddle and Chris Rolontz, Upright Bass, these fellas are definitely breathing new life into the Western Americana Music genre! Their first album, A Fork In The Road premiered at #2 on the Western Music Charts and received critical acclaim as well as radio airplay all around the world! Tumbleweed Rob & The Southwest Junction, features contemporary songs written by Rob along with some cleverly reworked old Cowboy/Western standards and Classic Rock and Pop songs. There are some fun surprises too so, expect the unexpected but rest assured, you’ll probably catch yourself singing along! From tender ballads, bouncy pop tunes, shufflin’ honky tonk to western swing and two-step, Tumbleweed Rob & The Southwest Junction’s got it all! Tumbleweed Rob & The Southwest Junction has been lighting up the stage everywhere they go. *Doors Open 7:00 p.m. Concert 8:00 p.m. This special evening is made possible through the support of SCVTV, WMA California Chapter, Repertory East Playhouse and OutWest Boutique and Cultural Center. Special “thank you” to The Magazine Of Santa Clarita. Belinda Gail’s new CD ”Granite Mountain” was just honored with the Western Music Association 2014 Western Album of The Year award. American Cowboy Magazine named her one of the top 50 Country and Western Entertainers of all time. Belinda Gail was raised on ranches in Nevada’s Carson Valley and in the California Sierra Nevada foothills near Sequoia National Park. Her rich ranching heritage and love of the West runs deep in her music and evoke the character of the people, as well as the beauty, majesty, and deep connection to the land that only those who have lived the ranch life can truly capture. Ranching and the “cowboy life” are very much part of the essence of this dynamic Western performer. Belinda is honored and humbled to not only be counted among the top female Western Music performers of this era, but she was recently listed as one of the top 50 Country and Western Entertainers of all time by American Cowboy Magazine in their collector edition entitled “Legends.” She has committed her full-time effort to this music for nearly two decades and crisscrosses this country taking her special brand of Western Music to the masses. Her numerous awards are evidence of the level to which she has risen not only with Western Music fans, but with her peers as well. Along with being a gifted singer/songwriter her warm and vibrant personality beautifully captures the ‘Spirit of the West’ and easily wraps itself around her audience. Belinda Gail is one of the most sought after women performing Western music today. A vibrant and natural entertainer with a dynamic and captivating voice, Belinda stirs the emotions and visions of the West in the heart of every audience she embraces. She truly is “America’s Western Sweetheart”. As a professional western entertainer Belinda continues to capture the attention of national venues. She has been a frequent headliner of the Santa Clarita Cowboy Festival. 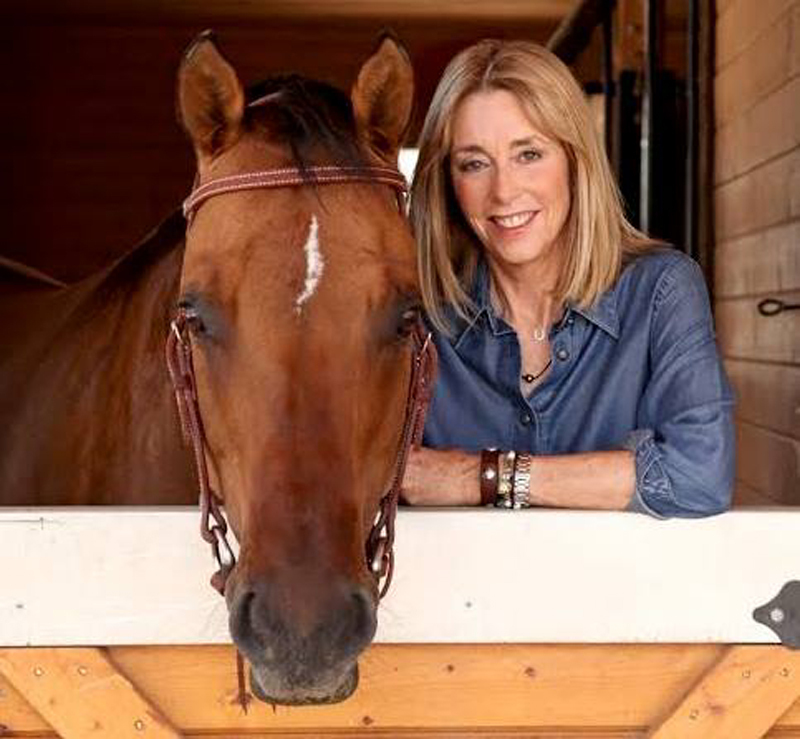 She recently joined the DJ team of online radio station www.equestrianlegacy.net hosting “Blessed Trails,” an hour of inspirational music and interviews with your favorite western artists. Tune in every Sunday at 9 a.m. CST or enjoy the podcast anytime. This is Belinda Gail’s second SCVTV Presents The OutWest Concert Series appearance. Don’t miss this opportunity to enjoy her soaring voice and engaging personality up close and personal! Dress up! SCVTV will film and you just might be on TV. For more on Belinda Gail click here. Thank you to our sponsors and supporters: SCVTV, OutWest, The REP, Western Music Association California Chapter, and a special “thank you” to The Magazine of Santa Clarita. 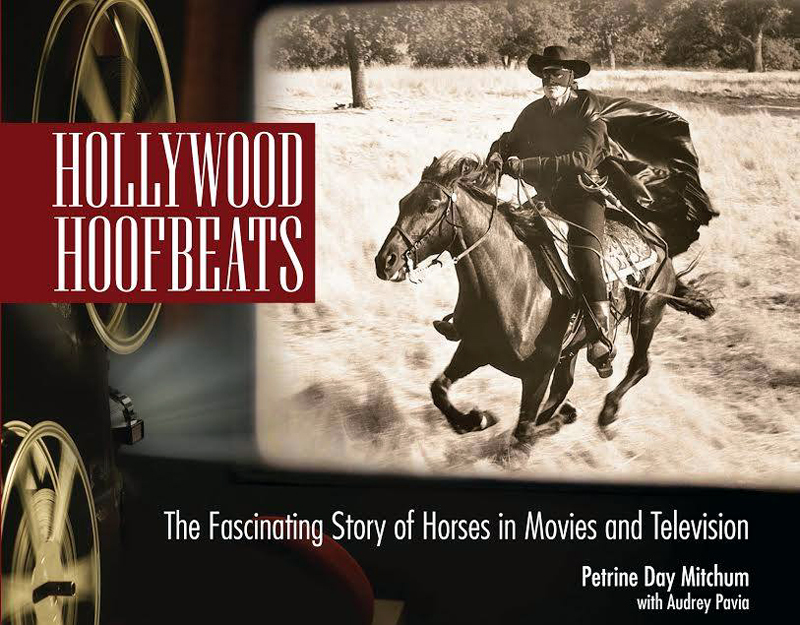 Saturday, Dec 6, 1:00-3:00 p.m.
With Updated and Extended Content, the Second-Edition Release of "Hollywood Hoofbeats" Explores the Fascinating History of Horses in Movies and Television with Seldom-Told Stories and Rare Backstage Photos. The extended and updated second edition of "Hollywood Hoofbeats" is arguably the most complete collection of stories and photos documenting the history of horses in American cinema. "Hollywood Hoofbeats" is packed with behind-the-scene stories, first-account narratives, rarely-seen photographs, lobby cards and illustrations, offering a rich resource for movie buffs and horse lovers alike. If you love horses, history, or movie and TV history, this book is for you. Who on your holiday gift list would enjoy this signed and personalized book? OutWest Boutique and Cultural Center is pleased to present the work of artist Al P. Bringas featured to illustrate the new book “West to Bravo: A Western Novel” by Eric H. Heisner. Join us for a special Artist Reception and Author Book Signing at OutWest in Old Town Newhall on Sunday Nov. 2 from 2pm-5pm. This event is open to the public and includes light refreshments. Enter a costume contest, winner receives a copy of the signed book! Come dressed in your best Classic Western Outfit from your favorite John Wayne or John Ford movie. Winner chosen at 4:30 p.m.
West to Bravo: The Art of Al P. Bringas opens October 25 and continues through January 4, 2015. View during OutWest’s regular hours – Tuesday – Saturday, 12:00 p.m. to 6:00 p.m. Thursdays open til 7:00 p.m. Always open earlier or later by appointment. Call 661.255.7087 to arrange special hours. 22508 6th St, Newhall, CA 91321. It is artist, actor, and horseman Al P. Bringas’ love for the old West and frontier that influenced him to create these pen and marker original works of art. Inspired by legends, such as, Ford & Wayne, Russell & Remington, their work helped shape and mold the artist’s imagination and desire to create. Al lives with his beautiful wife Caroline and their rescue dog Sophie in Pasadena, California. In the years following the American War Between the States, the once vacated military presence in west Texas is on the rise to protect the waves of settlers moving into the region. Living peaceably with the Mescalero Apache, half-breed former military scout Holton Lang promotes the tentative harmony between the US cavalry and the Native American population. Written in the style of the traditional John Ford/John Wayne cavalry pictures, West to Bravo evokes an era of classic Western fiction and paints an exciting and touching tale of one man stuck in the middle of a terrible conflict.